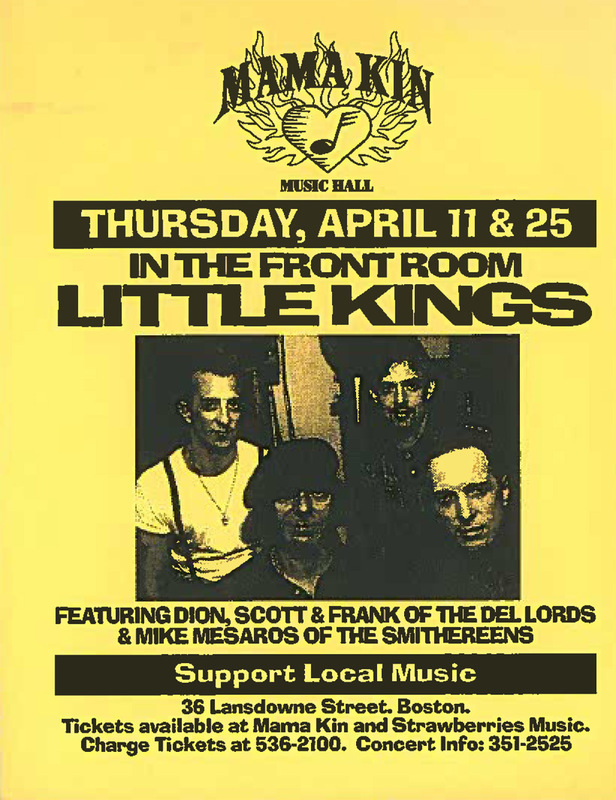 Today in 1996 found the Little Kings playing their only Boston gig ever. The Little Kings were a combination supergroup/superstar comeback. Living legend Dion DiMucci teamed up with Scott Kempner and Frank Funaro from the Del-Lords, and Mike Mesaros from the Smithereens. Dion, was, is, and always will be one of the coolest and most important artists in rock. He was an originator and an emancipator. But instead of working the oldies circuit and resting on his laurels, a right he most certainly had earned, Dion’s vision with the Little Kings was to do it again, from square one, as a new band. That’s the Joey Ramone introduction to the boys’ performance of “Who Will Save Rock and Roll?” in the 1999 movie Final Rinse — “Part This Is Spinal Tap, part Dirty Harry, and all tongue in cheek.” Read more at FinalRinse.com. In the meantime, enjoy the high-quality video, multiple camera angles and Joey R. acting.